Create an eco-friendly bamboo bedroom as a restful sanctuary of harmony and heaven with the Eco-Friendly Tentai Bamboo Platform Bed from Haiku Designs. The Tentai Bamboo Bed will feel amazingly heavenly in your home. 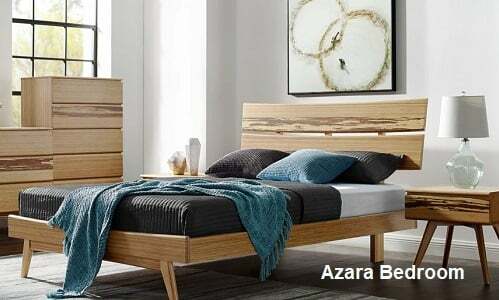 With graceful lines, an all-natural bamboo hardwood construction, and a restful and balanced design, it is easy to create a bedroom that is more than just a room with furniture in it. Adding to this sense of balance and harmony with nature is the amazing quality of Eco-friendly bamboo construction. 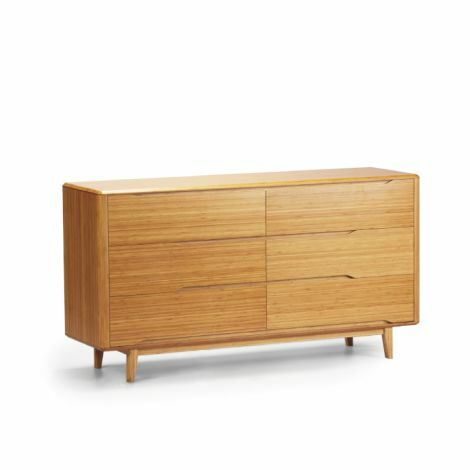 Bamboo timber wood is increasingly becoming the material of choice for furniture construction today, offering amazing strength and durability combined with a completely sustainable and renewable resource. In addition, bamboo is an excellent carbon sequester binding carbon into the bamboo structure. Stronger than solid oak wood, the bamboo hardwood timber used in our Tentai Bedroom set offers the warmth of a caramelized color or a welcoming, black walnut finish that complements almost any style of traditional and contemporary decor in your home. 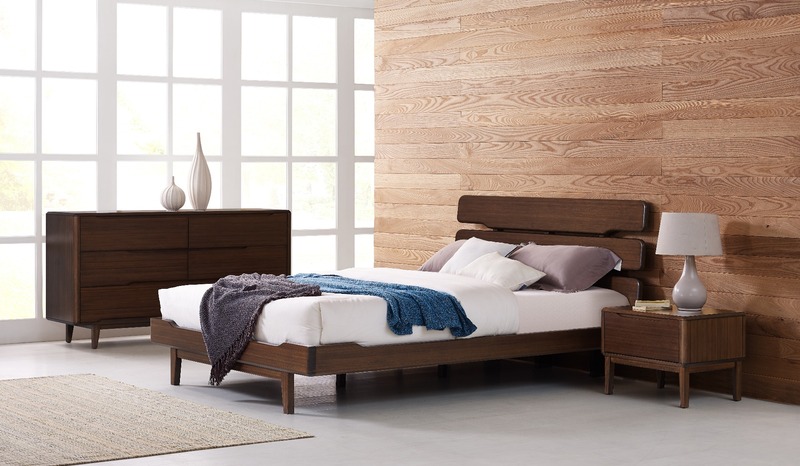 The Tentai Solid bamboo wood platform bed is available in a queen, or king, or California king size and offers solid, bamboo wood slats as a support surface for your mattress. 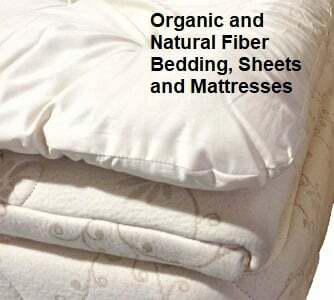 This system is ideally suited for any type of mattress, futon or memory foam. No box spring is required as the mattress rests directly on the solid wood slats. 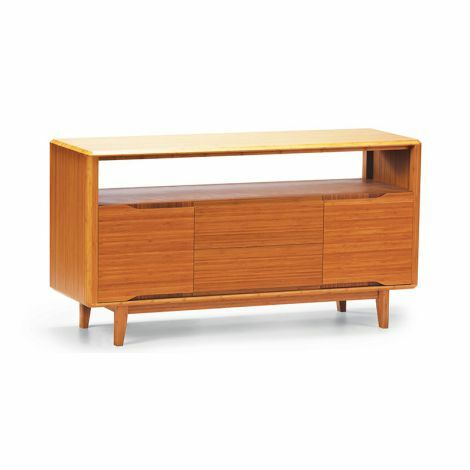 The bamboo furniture has a deep warm caramelized finish or a rich black walnut finish that highlights and brings out the subtle grain and natural beauty of the wood. 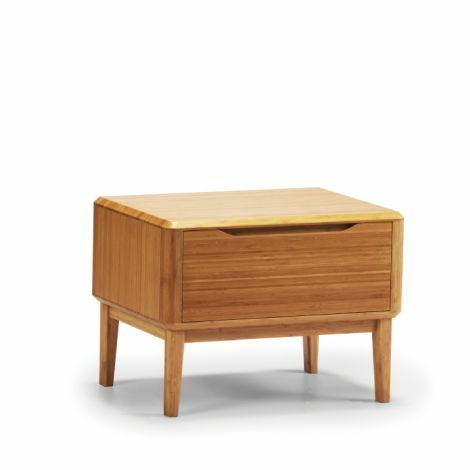 All of the Bamboo Furniture featured on Haiku Designs is made from real bamboo hardwood, not a veneer and because bamboo wood is an all-natural product, subtle wood grains and color tones may differ very slightly, further enhancing the charm and beauty of the furniture. Our entire Tentai Bedroom Furniture Collection includes the Platform bed, nightstands, horizontal dressers, high chests, and entertainment centers. Simple, straightforward lines form a beautiful design pallet for the furniture contrasted and offset by the warm texture of the natural bamboo, creating a look that is beautiful and calming. 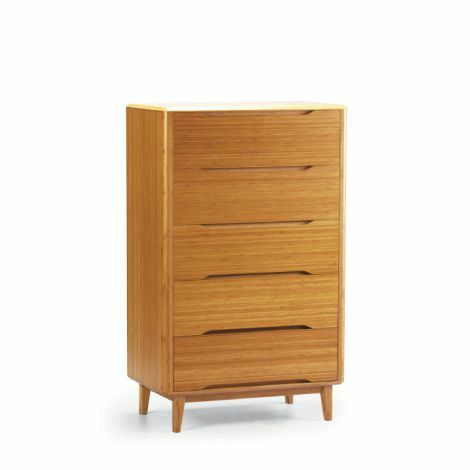 The use of bamboo wood grains and soft natural colors further enhance to this sense of comfort, rest, and repose. The Tentai Bedroom Collection offers an Asian Fusion look, combining traditional Asian design lines updated with a modern flair. It offers, a delightful and affordable way to create a completely new bedroom for yourself with a look and feel of a warm and relaxing ambiance.